(2007) Every great composer (ahem!) has to write a Gloria in his/her lifetime, and here's mine! 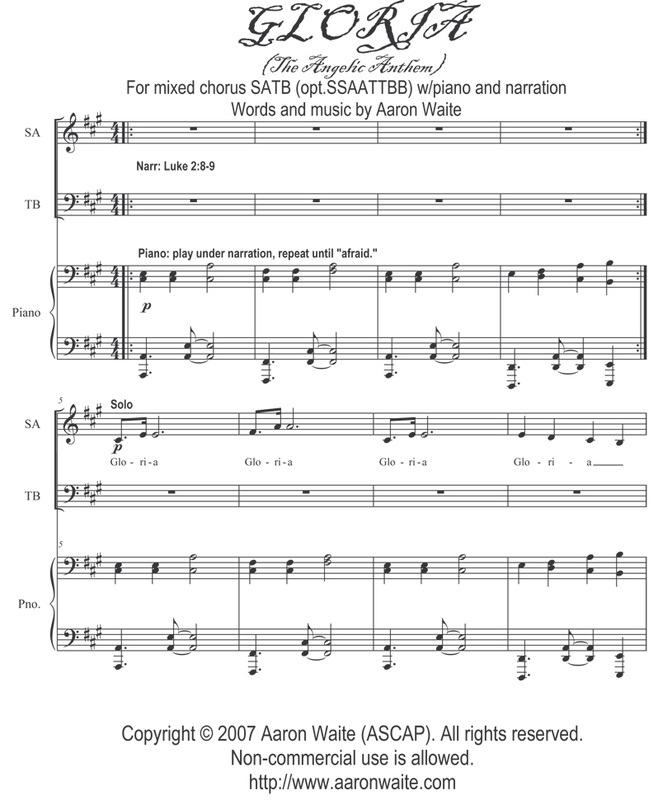 It is set for SSAATTBB choir with piano and narrator (reading the heavenly visitation story in Luke 2), and is a whopper. Lots and lots of Eric Whitacre-style chords! In it I try to really REALLY portray what the choirs of heaven must have sounded like that blessed night. Feel free to omit needed notes to satisfy your ward choir (gosh, we don't even have 8 total members!). I hope that the feeling of glory and wonder is felt in this music, it's a labor of love.